Do you get grief from other Christians when they find out you like Bible prophecy? Do they try to convince you to stop studying it, to save you from “deception?” Join the club. 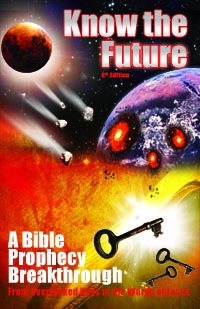 Bible prophecy is not popular with most Christians for several reasons which they will be sure to share with you. Learn what these common objections are and how to answer them–if not for their sake at least for your own satisfaction. Be certain you’re doing nothing wrong to study prophecy which is actually something encouraged in the Bible. The prophesied last pope is here according to Saint Malachy’s vision of 112 popes: “Peter the Roman/Petrus Romanus.” If Malachy is accurate, then Armageddon and the Tribulation he “pastures” during cannot be more than a single pope’s reign away or a few decades. But is Malachy’s last pope a reliable end time sign that faithful saints should get excited about? What does Bible prophecy say about the pope? Is he the Antichrist or the False Prophet? Learn the surprising details that both Catholic and Bible prophecy agree on about the last pope’s evil reign.